Q: Vera Songwe, executive secretary of the UN Economic Commission for Africa (UNECA), hailed the role that the China-proposed Belt and Road Initiative (BRI) would play in better connectivity and job creation in Africa. We noted that yesterday, when Chinese State Councilor and Foreign Minister Wang Yi met with Burkina Faso's Foreign Minister Alpha Barry, the two sides also discussed the Belt and Road cooperation. What is China's plan going forward? A: Africa, with its historical and geographical links to the Belt and Road, has been an indispensable and important part of the BRI cooperation. The vision, goals and cooperation areas of the BRI and the objectives and priorities of Africa's efforts to achieve development and revitalization by advancing Agenda 2063 are mutually reinforcing. The tenets for the Belt and Road cooperation, especially the principle of consultation and cooperation for shared benefits, also accord with the nature of China-Africa relations and cooperation. During the FOCAC Beijing Summit in 2018, many African leaders, including the then AU Chairperson and President of Rwanda Paul Kagame, spoke highly of the BRI proposed by President Xi Jinping, considered it a great initiative that will bring significant opportunities to Africa, and said African countries and people will play an active part in it. The positive remarks by UNECA Executive Secretary Songwe again reflect the endorsement by African countries and people. So far, 37 African countries and the AU Commission have signed BRI cooperation agreements with China. The two sides have already launched many important cooperation projects and achieved early harvests. Leaders and senior representatives from many African countries will attend the second Belt and Road Forum for International Cooperation to be held next week in Beijing. 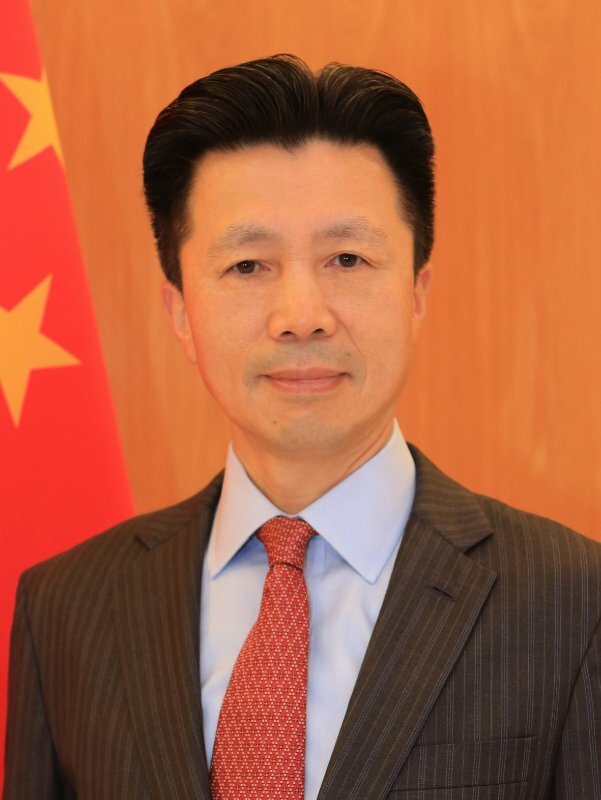 China stands ready to work with African countries to create greater synergy between the implementation of the FOCAC Beijing Summit outcomes, China-Africa BRI cooperation, the AU's Agenda 2063, the UN 2030 Agenda for Sustainable Development and the development strategies of African countries. We will advance bilateral cooperation in areas including industries, infrastructure, trade and investment, improve the living standards of African people, bring more development dividends to African countries, and deliver more benefits to people in China and Africa. Q: The US has been urging European countries to ban Huawei from 5G network building. 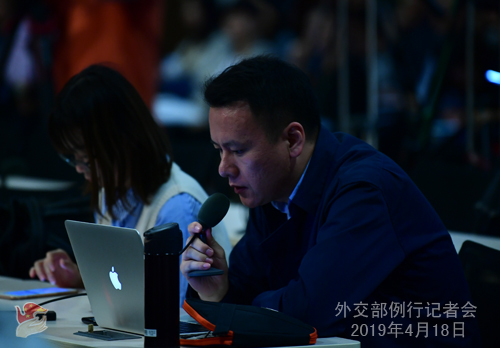 But in his recent remarks, Chairman of the German Federal Network Agency Jochen Homann said that no equipment supplier, including Huawei, should be specifically excluded. The spokesperson of Belgium's center for cybersecurity also said that regarding Huawei, they have not found technical indications that point in the direction of a spying threat. I wonder if you have any comment? A: In fact, there have been a growing number of countries expressing an unbiased attitude toward Chinese tech companies' participation in 5G network projects. This again proves that most countries can make independent policy decisions that serve their interests based on objective facts, and that they remain committed to fostering and safeguarding a fair, just and non-discriminatory market environment. We hope all relevant countries can treat Chinese companies in a fair and unbiased way. Based on equality and mutual benefit, we will expand and deepen trade and investment cooperation in various fields with countries that can earnestly do so. Q: The US tightened a blockade against Cuba with measures that affect foreign investment and foreign remittance. What is your comment on this? A: China opposes such wrong practices as unilateral sanctions and long-arm jurisdiction based on domestic laws outside the UN Security Council. The US blockade has long inflicted great harm on Cuba's economic and social development and people's lives. As you all know, the UN General Assembly has adopted many resolutions urging the US to end this wrong practice. 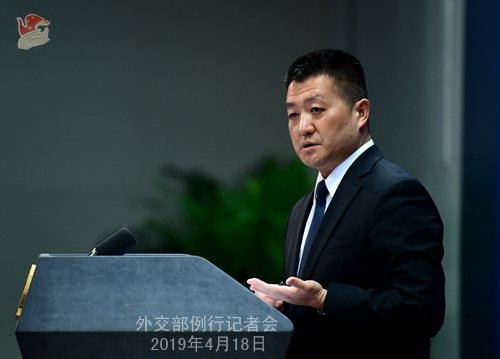 In state-to-state relations, China believes that mutual respect, equality, peaceful co-existence and win-win cooperation should serve as the guidance. 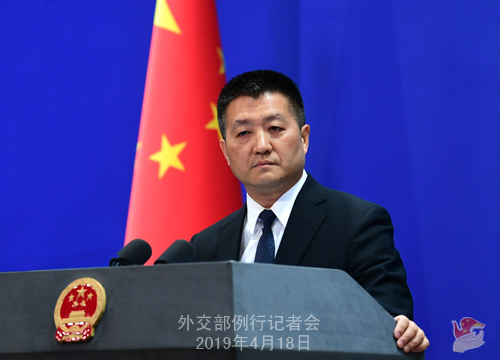 China has also been urging the US to lift the blockade at an early date in line with purposes of the UN Charter and the basic norms governing international relations, which is what the international community calls for. It will serve the interests of the US, Cuba and their people, and contribute to regional stability and development. Q: The DPRK leader Kim Jong-un yesterday oversaw the testing of a new strategic weapon. Is China concerned about this? A: The Peninsula issue is at a critical stage for political settlement. We encourage and support all parties, especially the DPRK and the US, to step up dialogue, meet each other halfway and work together for a sustained momentum for dialogue and more progress in denuclearization and the political settlement. This serves the common interests of all parties including the DPRK, the US and the regional countries. Q: Reports say that Alan Garcia, former President of Peru, killed himself with a gunshot to his head as police officers were trying to arrest him. Do you have any comment on this and how will he be remembered in China? A: Former Peruvian President Alan Garcia had long been friendly to China and promoting China-Peru bilateral relations. During his time in office, he pushed for the establishment of a strategic partnership and the conclusion of a free trade agreement between China and Peru and thus made positive contributions to bilateral friendship, deeper exchange and cooperation in various fields. We'd like to express our deep condolences on his passing and sincere sympathy to his family. Q: Madagascar faces a large measles outbreak with cases soaring beyond 110,000 and about 1,200 people killed, mostly children. Will China provide any help to Madagascar? A: China closely follows the measles outbreak in Madagascar and has taken measures to provide emergency humanitarian assistance. Based on the development of this epidemic and the country's needs, China will positively consider offering more necessary support and help to Madagascar. Q: Michael Pillsbury, a former US government official who worked on the Trump transition team, had been invited to a conference in Beijing which happened on Sunday and he said the Chinese Embassy in Washington did not give him a visa in time. He said he applied at least three weeks before. Do you know why the Chinese government did not grant him a visa? A: I need to check on this individual case you mentioned. As a principle, the Chinese diplomatic missions handle the visa applications by foreigners in full accordance with laws and regulations. I would like to reiterate that China welcomes people-to-people exchange with the US. American people from various sectors who are visiting to promote people-to-people exchange and mutual understanding are all welcome to China. Q: Did the DPRK notify China prior to its recent test launch? A: I don't have any information to offer.